Design Jams are facilitated and hosted by multiple partners in different settings, including with industry associations and within individual companies as well as universities, privacy conferences and startup incubators. The range of collaborations reflects the diversity of backgrounds and approaches that is vital to TTC Labs, which we we also give talks about at conferences across the globe. The TTC Labs toolkit is an open and flexible network - partners have led and set their own challenges ranging from the wider aim of exploring trust, transparency and control to specific issues. Agendas can be crafted to suit the needs of participants, from 90-minute sprints that introduce audiences to design thinking, called Mini Design Jams, to half-day and full-day workshops. TTC Labs also presents at leading global conferences such as CEBIT and Service Design Network, exploring topics relating to designing for data and privacy. Experts from industry, academia and policy, design and civil society groups. "It was hugely valuable to our students to be able to take part in a Design Jam to see design thinking in action and to tackle real pressing interaction design challenges around trust, transparency and control. We couldn't have run this event without the ready made TTC resources." TTC Labs collaborates with multiple partners across industry. Some of the partners have begun to host their own Design Jams, such as BNP Paribas who ran an internal company workshop in March 2018. Design Jams have also taken root in universities for interdisciplinary exploration in academia and education. Sciences Po's School of Public Affairs ran a Design Jam with students participating in a university incubator to develop social apps in May 2017. The University of Southampton's department of Electronics and Computer Science used the TTC Labs toolkit to run a full day Design Jam for 30 BSc students in February 2018. TTC Labs facilitates quick 90-minute sprints at fora that include privacy conferences, industry association workshops and startup incubators to give a taste of how Design Jams work. 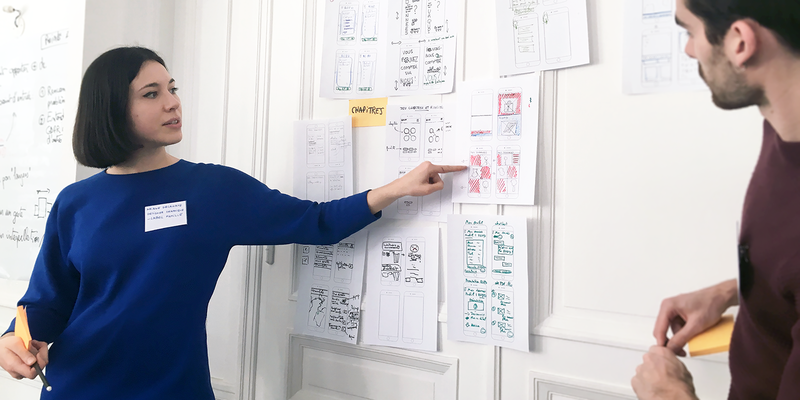 To date, we've facilitated these Mini Design Jams in Hong Kong, London and Brussels. The format typically involves Introducing Design Jamming and Understanding People before Setting brainstorming rules and Sketching Ideas with a quick Feedback exercise to close. Please get in touch with us at info@ttclabs.net for more information. We can share advice about using the toolkit, running your own Design Jam or partnering with TTCLabs. You can also sign up to our mailing list (below) where we will periodically share details about our recent activities and developments as well as upcoming events!